TREK 2 Discounts Apply ! Our most popular light. 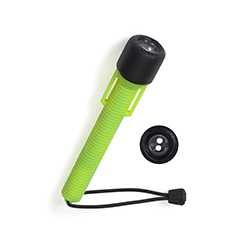 The Trek™ 2 is the perfect toolbox, backpacking, or emergency light. Each provides more than 40 hours of light from 3 AA Alkaline batteries (included) plus 160 additional hours of usable light. This 2 LED flashlight is extremely rugged, we tried to destroy one in our Tank Torcher Test, see the video! The Trek™ 2 will never need a bulb replacement since its twin ultra-bright LEDs last 10,000+ hours. 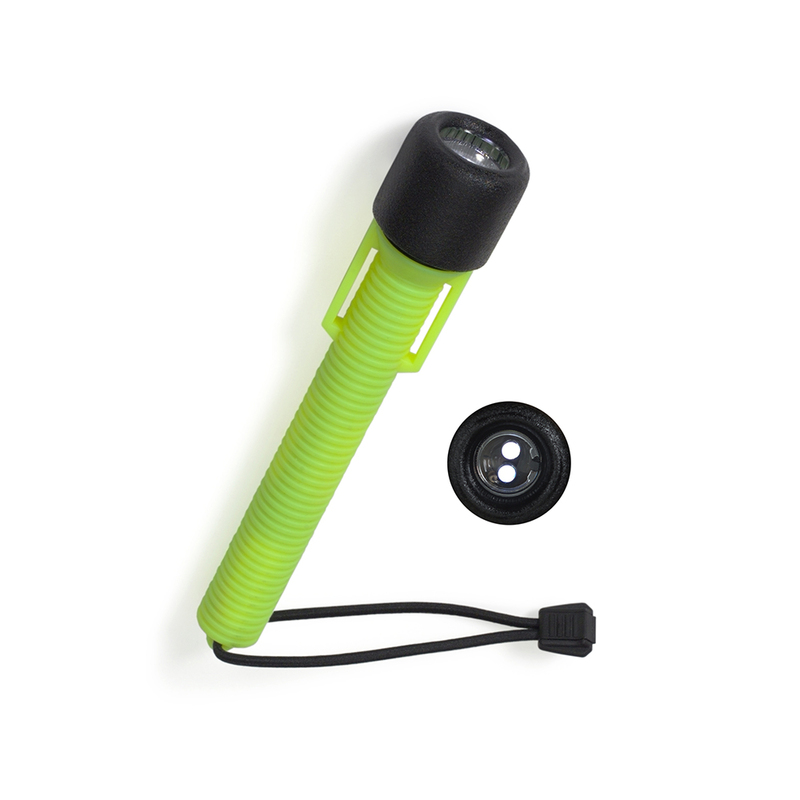 Double O-ring seals give this waterproof light an underwater depth rating of 1,000 feet (300 m). Includes, at no additional charge, a bungee wrist lanyard and rubber glare guard/Candle Stand.